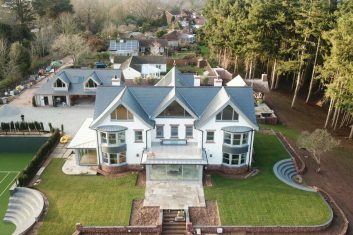 Our years of experience and strong buying power enable us to offer an extensive range of roofing solutions backed up by high standards of customer service at a competitive price. Whatever the size of your roof we have the knowledge necessary to provide you with the most effective and aesthetically pleasing option for your roof. All of our domestic projects start with a comprehensive site survey during which we discuss your requirements for the job along with any other requirements you may have. We will then work closely with you to ensure that the finished product meets your expectations and requirements. We are also qualified to handle non-licensed asbestos materials, such a asbestos slates and roof sheets, and will provide you with all of the necessary paper work to show you have correctly disposed of the hazardous waste in line with your obligations under UK law. 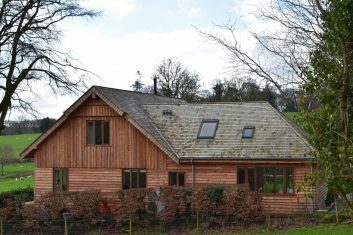 A roofing project using ultra environmentally-friendly materials. A prestige project using hand-cut, natural vertical slating.